The board of directors of Pontypridd RFC are delighted to welcome Paul Marshall on to the board having been co-opted onto the board in August 2018. Paul has been a supporter of Pontypridd rugby since the late 1980’s rarely missing a game, both home and away. Two of his earliest memories of Pontypridd RFC are the amazing Cup win over Neath in 1996 and being crowned league champions in 1997. Alongside these earlier achievements, the recent successes of the club have been unparalleled within club rugby in Wales which have also formed fond memories for me. Paul’s academic background started at Hawthorn High School and after finishing school he went on to attend the University of Glamorgan where he studied for an undergraduate degree in Applied Earth Sciences. From there Paul attended Cardiff University where he gained a Master’s Degree in Planning, Practice and Research. 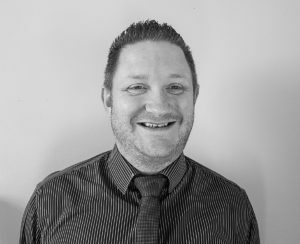 Paul has been working as Local Government Officer for Newport City Council since 2007 within the planning department and has been involved in various schemes that have involved the regeneration of parts of the city along with bringing long standing vacant properties back into use. Paul’s hobbies are of course watching Pontypridd but during the off season he is a valued member of the Valleys Wet Socks softball team that play in the Cardiff Softball League. Paul also enjoys watching other sports such as football and cricket. Away from sport, Paul likes to socialise with friends, is a keen board gamer and also likes to spend time with his wife and family. Along with the above, his passion that he has for the rugby club that he has supported for over 30 years is second to none and is delighted to have the opportunity to become an integral part of the team of directors that continues to bring Pontypridd Rugby Club firmly into the 21st Century whilst not forgetting its illustrious and decorated past.